Although we got very little rain in Tucson from Hurricane Odile remnants, southeastern Arizona and northern Sonora got a lot of rain. The southernmost stream gauge on the San Pedro River is at Palominas, a few miles north of the U.S. – Mexico border. Its peak discharge of 18,500 cfs at 10:15 am this morning is the 2ndlargest flood at this gauge since 1926. 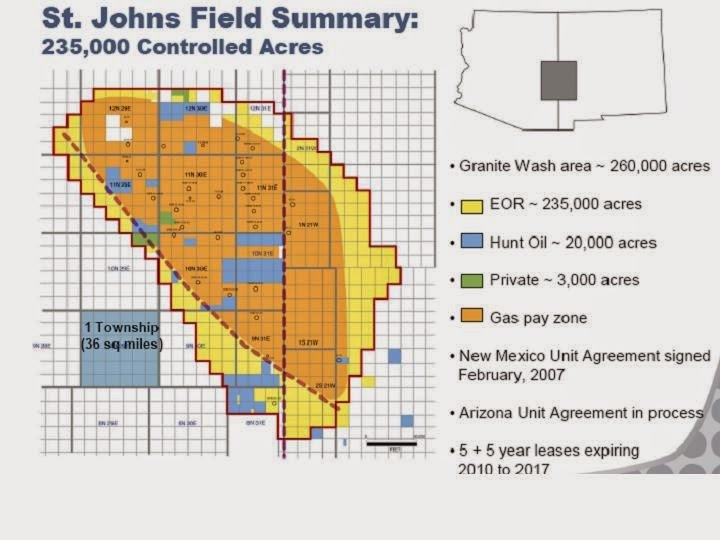 The Arizona Oil & Gas Conservation Commission has approved permits for two new wells in the Holbrook area, reportedly to evaluate helium potential. State permits #1194 and #1195 are posted on the AZOGCC website. The permits were issued to Ranger Development LLC, based in Ft. Worth, Texas. The well proposed in Sec. 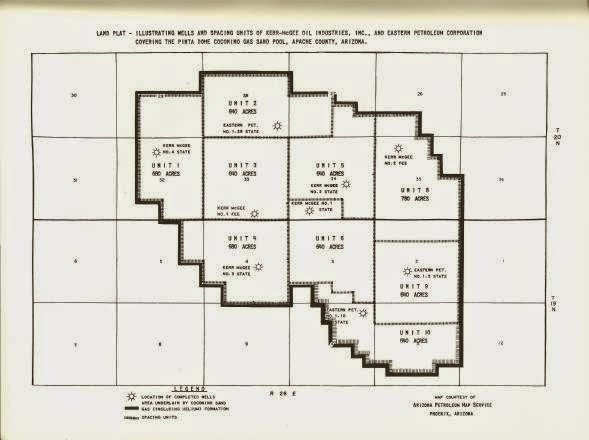 33-20n-26e is located in the old Pinta Dome helium field [right, from AZGS report "Oil, Gas and Helium in Arizona: Its Occurrence and Potential," 1961]. The well in 31-20n-27e is located in the old Navajo Springs field. Visitors to Tucson are often surprised at the general lack of culverts and storm drains. Streets typically follow the lay of the land, dropping down as they cross washes and gulleys. Runoff from rain storms flows down washes and right across the roads. Motorists are repeatedly warned not to cross washes with even what seem to be low levels of flowing water, not realizing the power of that water to sweep away vehicles or at least strand them. AZGS geologists were responding to reports of heavy runoff eroding and undercutting roadways and other structures. PHOENIX – Governor Jan Brewer today declared a State of Emergency in response to record flooding in Arizona. 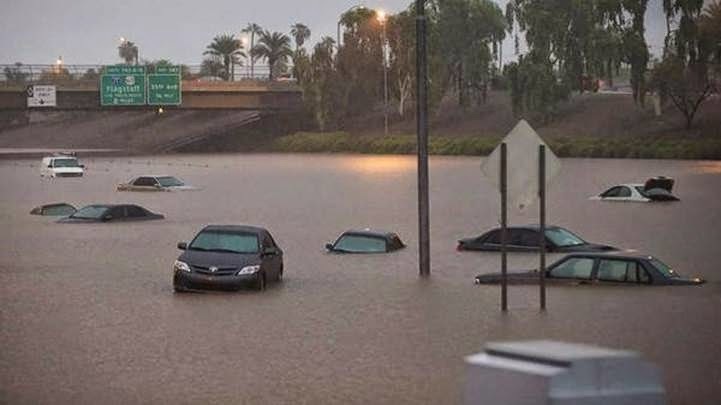 On September 8, 2014, powerful rains combined with remnants of Hurricane Norbert caused record precipitation and flooding throughout Arizona. The storms resulted in significant impacts to transportation infrastructure throughout the Phoenix metropolitan area in Maricopa County, including the closure of State Route 51, Interstate 10 and 17 and U.S. Route 60. The heavy rains also threatened lives, caused residential damages, forced evacuations in La Paz County and required emergency response search and rescue missions, including the American Red Cross opening shelters in Maricopa and La Paz Counties. The threat of flooding remains high due to heavily saturated soils and the anticipation of additional waves of precipitation. e. Authorizes the Adjutant General to mobilize and call to activate all or such part of the Arizona National Guard as is determined necessary to assist in the protection of life and property throughout the State. Preliminary damage assessments will be scheduled by the Arizona Department of Emergency Management’s Recovery Office in conjunction with the counties, as requested. Response costs and damage to public infrastructure have not yet been estimated by the counties. Visit the Arizona Emergency Information Network website – www.AzEIN.gov – for emergency updates, preparedness and hazard information, and multimedia resources. The USGS has released the 2014 minerals commodity study for potash, which describes the global disruption of the market and price last year due to the breakup of the Russia-Belarus marketing company. We're following developments because the Holbrook basin [right, thickness map of potash. 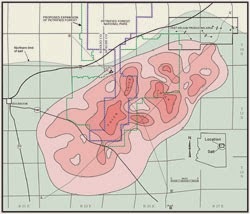 source AZGS] holds a significant potash resource at shallow depths and located on a major rail line and interstate. The US imports about 85% of the potash used in the country, mostly for fertilizer. The one mine in Michigan shut down, while a new mine opened in New Mexico. A Canadian company continued development of a new underground potash mine in southeastern New Mexico. Initial production was expected to begin in 2016, with annual production of 568,000 tons of SOP and 275,000 tons of SOPM. In 2013, progress continued in the development of new mines and expansion of existing facilities in more than 15 countries worldwide. Projects in Canada, Laos, and Russia were expected to be completed by 2017. Other important projects in Belarus, Brazil, Congo (Brazzaville), Eritrea, Ethiopia, Russia, Turkmenistan, United Kingdom, and Uzbekistan were not expected to be operational until after 2018. World consumption of potash, for all applications, was expected to increase by about 3% per year over the next several years. The Holbrook basin proposed developments seem to be on hold while the market sorts itself out. 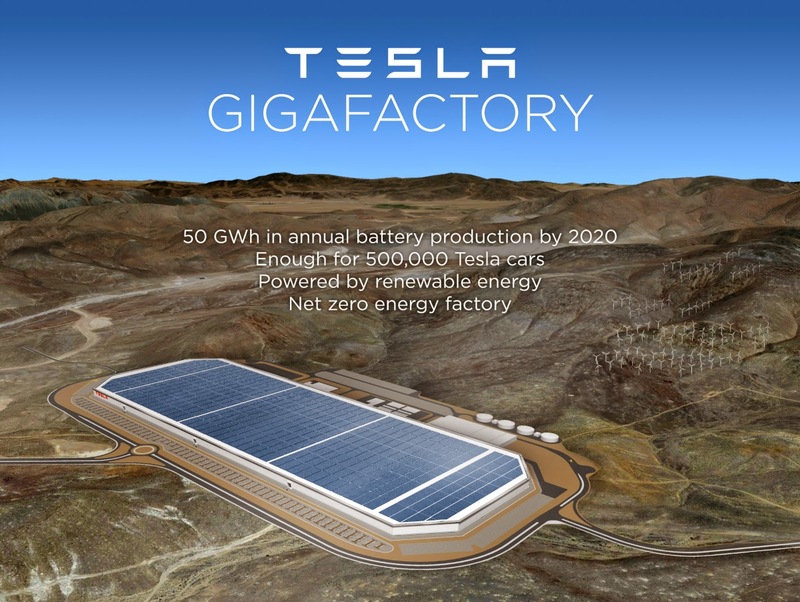 Did lithium mines seal the deal for Tesla battery factory going to Nevada? Tesla has chosen Reno, Nevada as the site for its $5 billion factory to supply lithium batteries for its electric cars, beating out competitors including Arizona. A story today by Dorothy Kosich at Mineweb.com quotes John Boyd, a principal of the site selection firm The Boyd Company, as telling the Wall Street Journal, “I think the single most important factor is the [site’s] low-cost green power, including solar, wind and geothermal energy for the plant. He also cited Nevada’s lack of corporate and personal income taxes as positive factors." Arizona may have sent mixed messages on this front, offering tax breaks and other incentives, but with concurrent debates at the Arizona Corporation Commission over continuing utility subsidies for solar power, and proposals to roll back the requirement for utilities to provide 15% of their electrical power from renewable energy resources. How much did Nevada's support for producing the minerals needed for manufacturing batteries play into Tesla's decision? The Arizona Geological Survey (www.azgs.az.gov), an independent state agency reporting directly to the Governor, seeks to hire a Deputy Director at its headquarters in Tucson, Arizona, with strong team-building, leadership, management, and communication skills and the ability to design, implement, and manage complex, multidisciplinary scientific programs in support of agency and state needs. The agency has never had a Deputy Director position, but increased demands to manage the growing staff, carry out the portfolio of large complex projects, and seek state and grant funding, require establishment of the position. Acts in a senior capacity to manage the internal operations of the agency that are necessary to carry out its programs and activities. Assists the Director and Section Chiefs in developing the agency’s programs, maintain scientific and technical proficiency of staff members and the agency, helps construct and implement the agency’s annual work plans and priorities based on available resources, allocates agency human and fiscal resources, and responds to requests and inquiries from the Governor, Legislature, local, state, and federal agencies, business and industry, news media, professional organizations, and the public. Supervises the agency’s Section Chiefs. Acts on behalf of department director in the Director´s absence; represents the agency with its stakeholders, clients, and partners. Carries out geoscience projects in the incumbent’s area of scientific expertise or as needed. Position Type: Permanent position, E1, in Arizona State Government, salary range, $51,499 - $97,335. The State of Arizona offers a comprehensive benefits package that can be effective within the first two weeks of your employment that includes affordable health, dental and vision insurance, accrued vacation and sick leave, 10 holidays per year; long-term disability; retirement plan; and life insurance. Optional employee benefits include deferred compensation, short-term disability, flexible spending account for medical/dependent care expenses and supplemental life insurance. We also offer free covered garage parking, Tuition Reimbursement and Public Transit Discounts. Position is located in Tucson. Fill out an application at: https://azstatejobs.azdoa.gov/ltmprod/xmlhttp/shorturl.do?key=KG2 or applications may be sent in the form of a resume and cover letter to resumes@azgs.az.gov. Please include “Deputy Director” in your subject line to distinguish your application from other recruitments currently open. First review of applicants will take place September 20, 2014 and continue until the position is filled.